Humor, True Crime, Nonfiction, Cookbooks, Thriller, Mystery, Action & Adventure, Romance, Paranormal… today’s featured books have a little something for everyone! 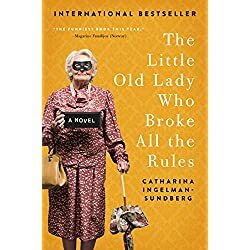 Filled with insight and humor, The Little Old Lady Who Broke All the Rules is a delightful and heartwarming novel that goes to prove the adage that it’s not the years in your life that count, it’s the life in your years. 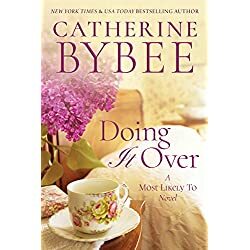 Martha Andersson may be seventy-nine-years-old and live in a retirement home, but that doesn’t mean she’s ready to stop enjoying life. 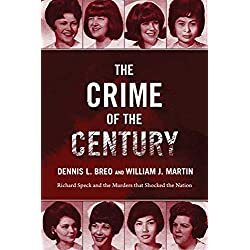 So when the new management of Diamond House starts cutting corners to save money, Martha and her four closest friends—The Genius, The Rake, Christina and Anna-Gretta (a.k.a. The League of Pensioners)—won’t stand for it. Fed up with early bedtimes and overcooked veggies, this group of feisty seniors sets about to regain their independence, improve their lot, and stand up for seniors everywhere. Brunch has become America’s favorite culinary pastime, a wonderfully appetizing and leisurely dining experience unfettered by either time constraints or choice of entrée–and a ritual so increasingly popular that it’s not just for Sundays anymore. Hands down, no one does brunch better than Bubby’s, the New York City destination restaurant that has been a hangout for hungry city dwellers and celebrities for nearly two decades. Luckily, you don’t need to travel all the way to the Big Apple to savor Bubby’s amazing array of brunch favorites. 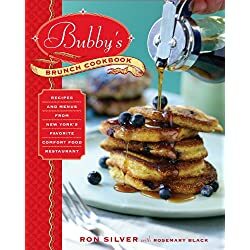 With nearly 200 delicious recipes, Bubby’s Brunch Cookbook will help you turn your kitchen into a little piece of heaven. From biscuits to muffins, pancakes to omelets, smoked salmon to hot toddies, there’s inspiration here for both beginner and seasoned chefs alike, and the easy-to-follow recipes invariably produce mouthwatering results. 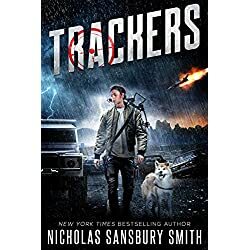 From USA Today bestselling author Nicholas Sansbury Smith comes a harrowing story of survival in a post-apocalyptic world. Police Chief Marcus Colton and tracker Raven Spears have never liked one another, but when a young girl goes missing in Rocky Mountain National Park, Colton hires Spears to help find her. 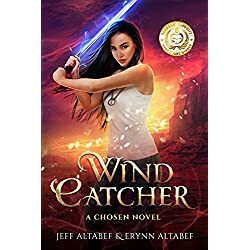 Their search ends after a night of devastating horror. Jessica Fletcher must solve a wine country caper when she takes a trip to Napa Valley in this mystery in in the long-running series. 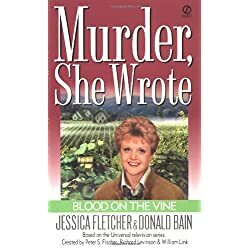 Jessica Fletcher is visiting California wine country while doing research for her next book, and invites her old friend, Scotland Yard detective George Sutherland to join her at a cozy Bed and Breakfast. 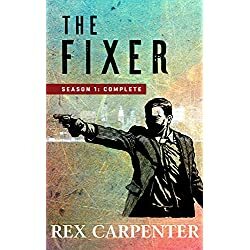 No sooner do they arrive than they find the valley abuzz over the murder of a waiter at the restaurant owned by infamous ex-Hollywood heavyweight Bill Ladington. Ladington’s blatant womanizing and involvement in a bitter vineyard land dispute have already marked him as a dubious character—and a possible suspect. In Tel Aviv, Commander Alan Craik, a US Navy veteran agrees to check out the death of a former Navy enlisted employee. He plans to be out the door and on to his real work in half an hour. But the task quickly turns dangerous, and what should have been a routine investigation becomes something very ugly. Nominal American allies in Israel withhold or alter information; nominal colleagues at home set up their own operation to satisfy the political needs of Washington; a wife betrays her husband and deceit and distrust prove to be the only common denominator. 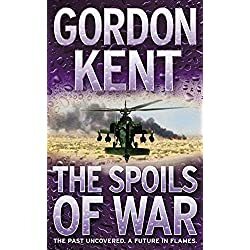 When Mike Dukas, a dogged, cynical special agent of the Naval Criminal Investigative Service joins the investigation, it leads them all from Tel Aviv to Gaza and the Greek island of Lesvos to Jerry Piat, a renegade CIA officer. With agents of Mossad and the Palestinian Authority always close behind them, Alan Craik demands the answers to some far-reaching questions. What are the rules in modern conflict? Where is honour? And what is the cost of telling the truth? JC Bannister is a killer. He’s killed for his country. He’s killed for money. But now he’s being asked to cross lines he never imagined. Killing a friend, a powerful US Senator. For money… A lot of money. Or, worse yet? Branded as traitors and pursued by every law enforcement agency in the United States of America.